Well it's the start of September which is a very exciting time because Stampin' Up!s new Autumn/Winter catalogue has just gone live! You will probably already have seen loads of gorgeous Christmassy projects, products and ideas online and now you can get your hands on the stuff yourself, or at least start planning your Christmas crafting - it's never too early! If you've hopped here from Samantha's fantastic page, welcome to my blog! 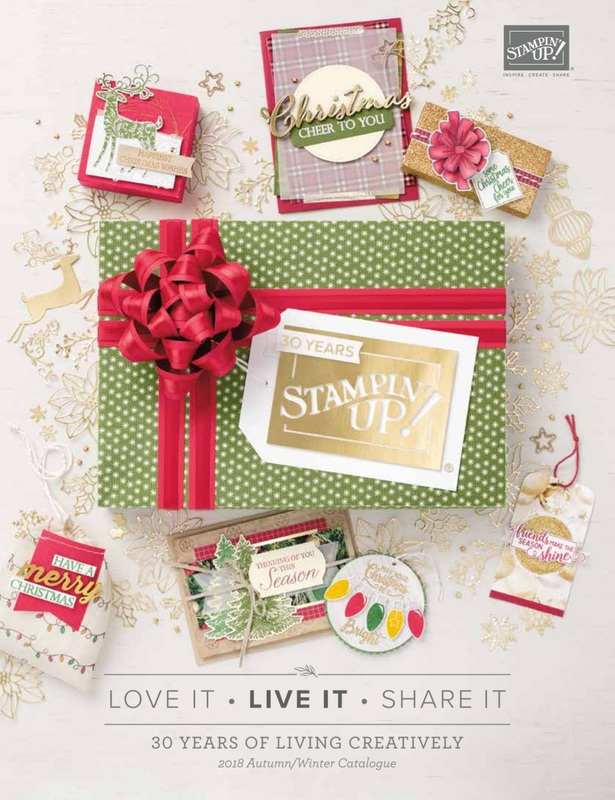 My entry for the Autumn/Winter themed blog hop starts with my number one stamp set bundle in the new catalogue - Cookie Cutter Christmas! The gingerbread man is adorable and I love all the other characters in the set too. 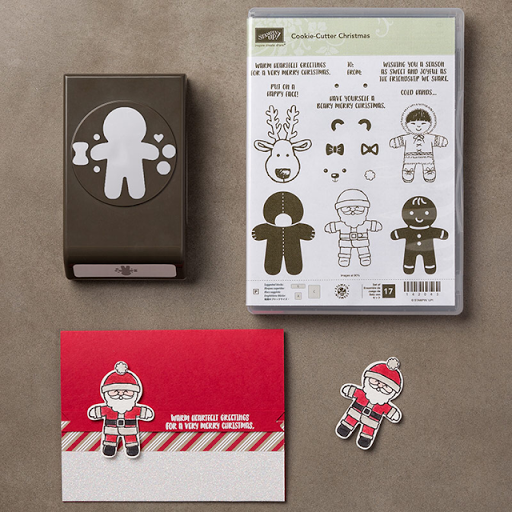 I made a mini garland of gingerbread men to decorate a plain paper bag, and also designed a quick card (this is what my guests will make at my new catalogue party this weekend!). 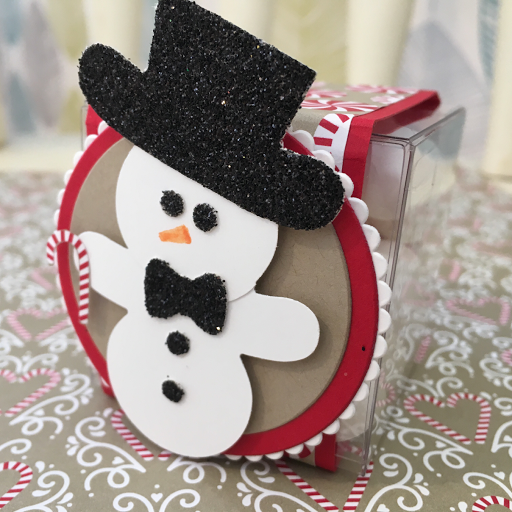 The matching punch can also be used to make a little snowman with top hat and bow tie! 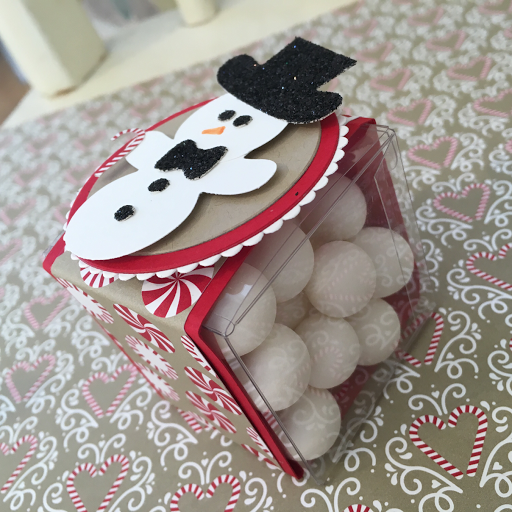 This one got added to a clear tiny treat box filled with mint (or snowman poo if you prefer!). His tiny cane was cut from the Candy Cane Lane designer series papers. 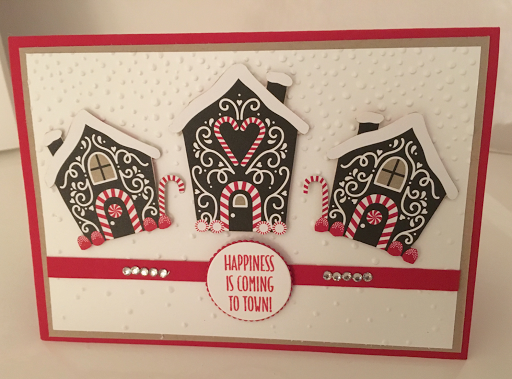 Next up, my second favourite product in the catalogue - the Candy Cane Lane papers - and a card inspired by the sample in the catalogue itself. The houses were cut from the paper sheet! 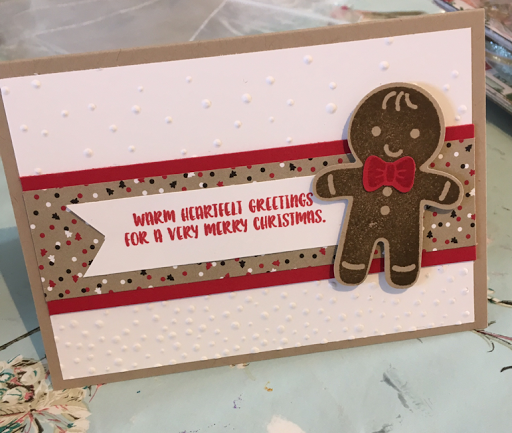 In the meantime, if you'd like to order anything online, go through to my shop page and if you enter the hostess code 9FYX2RTA at the checkout during September I will send you a free card, paper & embellishment pack in the post! For now though, continue enjoying the blog hop and go and see what the lovely Julie has in store for you today! Super selection of projects Kylie, my favourite is the bag with the little gingerbread men on it!! Such cute projects. 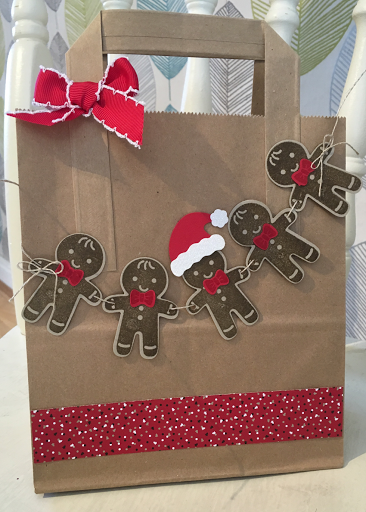 Love the bag with the gingerbread men garland especially. Ha ha I love the snowman design for the snowman poo, but I also love your gingerbread men chain!! Love them all. I've been waiting all week for Internet to see these.